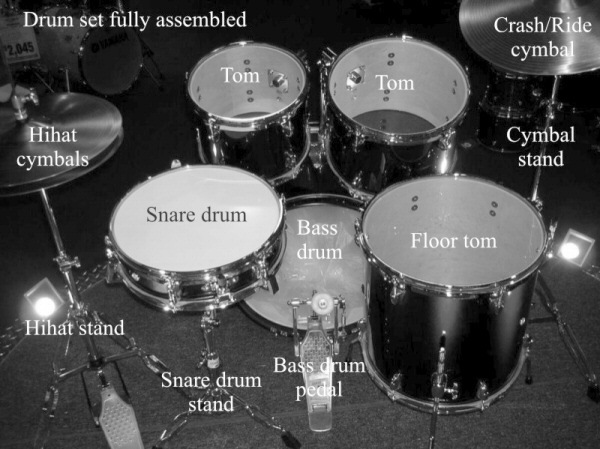 Is there a “standard” or “typical” drum kit layout? 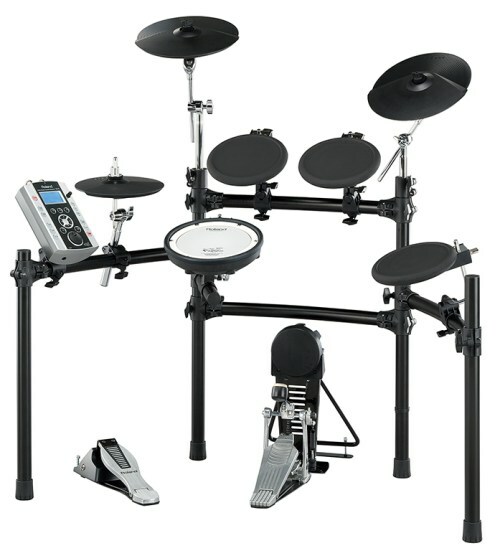 I am dipping my toes in the water of getting a "real" drum kit -- by drumming standards, it's still pretty crap since it's (basically) the Alesis DM6 entry level electronic drum kit. But one thing I didn't even consider when making the leap is that I don't know where to properly place the drum heads and cymbals. I am ashamed to admit I learned everything I know about drumming from playing Rock Band, and this includes the default layout of the drums and cymbals. I know, I know, but ... I'm trying to figure this stuff out as I go! 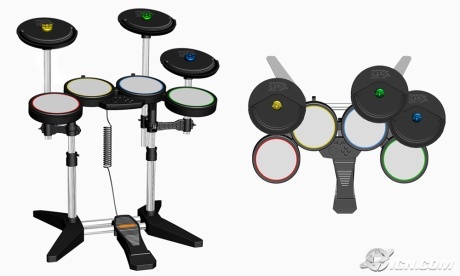 Based on what I've seen, these positionable electronic drums should not mimic the default Rock Band setup, but perhaps should be more like so? Crash and Ride cymbals to the right and significantly higher than the toms? I'm not looking for a perfect layout, just seeking advice on what's typical or standard in drumming. I want to break any bad positioning habits I might have accidentally developed from learning on the original Rock Band kit as I progress to the brave new world of real-ish electronic drum kits. Your description at the end is pretty close to the default (assuming right handed) for a rock kit, which is the most commonly used setup. There are other standard kit setups such as Jazz Kits see @Eric K's answer for a description of a Jazz kit. Crash positioning is your preference but usually if you have one you have it on the left next to the hi-hat. This gives you easy access and makes the kit look a little balanced. Also you'll have the middle toms and snare angled slightly towards with the cymbals at a much more aggressive angle towards you. The positioning & height of the toms allows for good runs up and down the kit and is somewhat in line with their relative positions on a musical score - or that's how I see them when I look at a score. Once drummers get more experienced you'll see more crash, splash etc. cymbals of various sizes and other bits and pieces popping up on their kits but the above is the usual starting point for a rock kit. 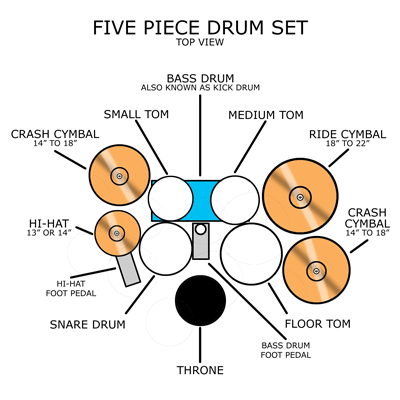 In most anything but a barebones drum kit, you're going to have four cymbals: the hi hat on the far left, the ride cymbal on the right, and two crash cymbals above, left and right. So it's completely natural to have a crash cymbal on your upper right. 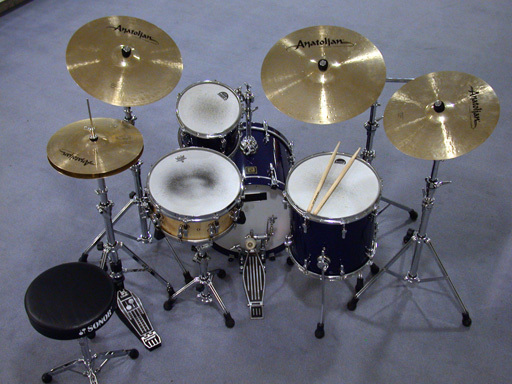 A drum set with a single crash typically is either a jazz kit or a travel kit. It works for jazz because you don't do a lot of crashes and milking a smooth sizzling sound out of the hi-hat can be used for a similar effect. In those setups the crash is between the ride and hi-hat because it allows you to use it as a transition between the two, and also because when playing faster tempo'd songs it would be very difficult to go from a right-positioned crash back to the left-positioned hi-hat. This isn't as noticable on a Rock Band kit because it's so much smaller, but a real kit might have 3 or more feet between the crash and the hi-hat - not insurmountable distance to move your arm. ... and thus there are typically two crash cymbals, one on the left, one on the right. don't forget the only real reason you traditionally cross your hands to play the hi-hat, is the need to put the pedal under the left foot. If you have a remote pedal like in an electronic kit (and acoustic kits as an add-on) you can put it anywhere. Some big kits have 2 hi-hats, one on the right. Also, a common mistake: allow some height (say 6 inches or more) between hi-hat and snare if you're finding your hands/sticks are hitting each other when crossed over. 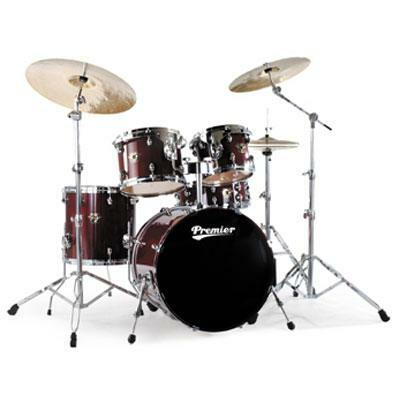 traditional 70's and 80's acoustic rock kits had high crash cymbals and deep angled toms for show, these days toms are less deep and less angled (almost flat), and lower to be as near to snare as possible, to allow faster rolls around the kit. modern rock kit cymbals (real ones) are lower, perhaps roughly around shoulder height. This is to allow faster rolls around the kit, but also to reduce the risk of breaking sticks (from hitting them edge-on) and breaking cymbals (which should ideally by hit by a downward sweeping motion). So, if acoustic drummers have no good reason for high cymbals don't think electronic ones have to either. Also, you want your crashes as easy to reach as possible as you'll use them loads, don't tuck them too far away so you have to reach and slow you down. So, in conclusion, even heavy metal drummers on acoustic kits are moving towards lower, closer, flatter kits, to allow for faster (and easier) playing so there's every good reason to do that with an electronic kit. Just make your layout as comfortable as possible! Cheers, Steve. The "standard" kit setup pictured in @DEfusion's answer is optimized for a right-handed drummer playing primarily rock songs. The snare and hi-hat are the two most easily accessible pieces with the primary crash (closest to the hi-hat) also within easy reach for accents. The rest of the drums fill out from there in order of utilization. Basically, the idea is to keep the pieces of the kit that you'll strike the most within easy reach and then build the rest of the kit out from there. 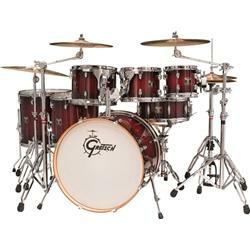 An efficient drumset lets the music and creativity flow freely! I agree the Rock Band setup is odd. The hi-hat should really be red instead of yellow. I moved the yellow cymbal (hi-hat) to the left of the red drum (snare). I play it with my hands crossed over like a real drummer would. (I have the ION drum set which allows you more flexibility). Messes with your mind a little at the beginning. Probably couldn't have learned it that way since it no longer matches the order on the TV screen, but I already have the muscle memory. I also agree the Rock Band blue(ride) and Green(crash) cymbals are backwards. I didn't bother to switch those, but I did move the blue(ride) to the left of the toms and Green (crash) between the toms so they are at least in the normal position for cymbals. p.s. besides switching them, the crash should really be yellow. Only if they added a second crash should it be green. You're almost right. The typical layout is like in the last picture you posted, except for the crash. You'd typically put that on the left. On your picture, it would be above the hihat, and to the left of the tom. That's just on your picture. In reality (in 3D), it would be higher than your tom, sort of mirrored by your ride cymbal (but a little higher maybe, depending on how low you put your ride - I put mine fairly low). This makes it easier to come back to your hihat when you hit your crash. The distance for your right hand to travel would be less. Then, when you add more cymbals (not always that easy with digital drums), you sort of put them where you want: in the middle, to the right but higher than the ride, etc. 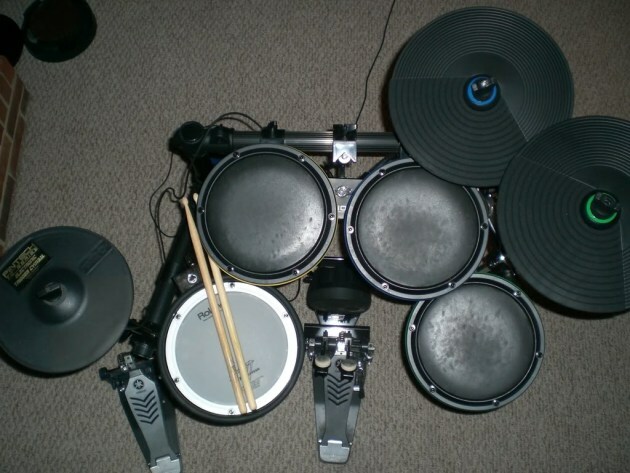 I have a Roland TD-9K, just like this one. My cymbals are a little lower than in the image, but that's personal preference. For rock the standard kit (depending on the era as I believe it changes all the time)is bass drum, snare drum, high tom, low tom, floor tom, high hat, high crash, low crash/ crash ride and ride cymbal. At the end of the day it is what you're comfortable with, what you can afford, or what 'looks' good. Back in the 80's when I played with goth/punk band Legion (UK), I used to have a 10 piece, which was a standard right hand set-up 5 piece, with an additional two rack mounted small toms (left) and a raised floor tom (right) plus two timbale drums mounted above the central toms. As for my ride cymbal, always directly above my hi-hats, with crash/china placed anywhere else - well I am a leftie. I actually did use all the drums (lots and loud), yet as time went by, I have slimmed right down to a small size irregular 5 piece (with no floor toms). It is unusual, but it works for me, looks pretty cool, and fits in the boot of any car! In fact as a recent development, I have adapted to lead vocals for even less to cart around!! Cheers guys. Whatever you play 'Keep Rocking'!! Depends entirely upon what you want to do. For the music I play (and where I'm at now as a person, as opposed to 20-30 years ago when I first started) I only use a 3 piece (bass drum, snare, floor tom with a hihat and a few cymbals) because I'm comfortable on it. On slight occasion I will use one mounted tom for some color but (blues, funk, jazzy) styles require more rhythm that color so its what I go with. Your mileage may vary but be proficient at what you do decide to go with. Nothing worse than a crappy drummer with a massive setup. Cheers! Not the answer you're looking for? Browse other questions tagged drums or ask your own question. Should I retrain myself to be a right handed drummer? How do you successfully share another drummer's kit at a show? How to choose drum pitches? Is there different bass pedal sizes? Is there any standard format for MIDI drum lines?